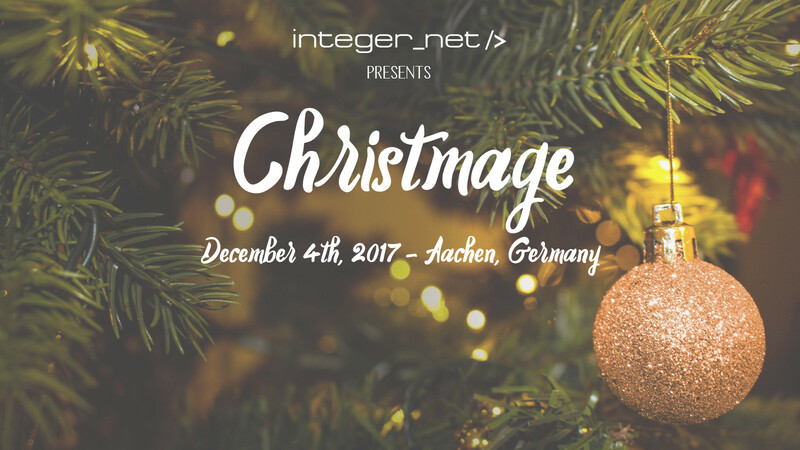 Christmage is exactly what it sounds like, a combination of Christmas and Magento. We invite you to come to Aachen and join us for a jolly good time. Before the Christmas spirit(s) take over, talks and conversations about any Magento and ecommerce related topics are on the agenda. When daylight fades, it’s time to get into a festive mood. 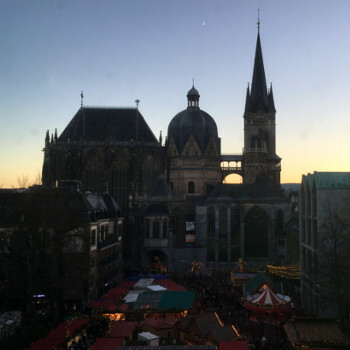 Amongst all Christmas markets in Europe, the Aachen Christmas market was voted #4 in the most recent election. When the old city center is filled with the scent of roasted almonds and mulled wine, who could be able to resist? After we have discovered the city’s most intriguing tales during a sightseeing tour, we spend the evening at the Christmas market with drinks and foods. When the market closes, a warm location with cold drinks will be our shelter for the late evening hours. 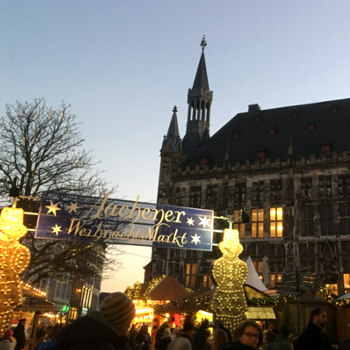 Enjoy a full day in Aachen with a mix of culture and Magento. 11:30 Talk: Progressive Web Apps – is this the End? We spend the day at Raus! Escape Room in Aachen, located in Oppenhoffallee 115, 52066 Aachen. There are some parking spots in the streets next to the location. Watch out for parking meters. The nearest parking garage is in Adalbertsteinweg 36, 52062 Aachen and it’s open 24 hrs. The train stations “Aachen Central Station” (long distance trains, local trains) and “Aachen Rothe Erde” (local trains) are in walking distance (1.3 km and 650 m respectively). The bus stop “Viktoriaallee” is right at the venue. From Aachen Rothe Erde, take Bus 34 (direction Kohlscheid / Kerkrade) or Bus 57 (direction Herzogenrath Bf. / Merkstein). On both bus lines, “Viktoriaallee” is the second stop. From Aachen Central Station, take Bus 3A, 13A, 21 or SB63 to “Normaluhr” (first stop). Then walk (900 m) or take Bus 33 (direction of Fuchserde / Beverau), 34 (direction of Brand) or 57 (direction of Haaren / Verlautenheide) to “Viktoriaallee” (second stops). We meet in front of the tourist information of Aachen. The address is Friedrich-Wilhelm-Platz, 52062 Aachen. It is right next to Elisenbrunnen, an old building. The bus stop “Elisenbrunnen” is the closest one. At “Oecher Glühwein Treff” you get the first mulled wine or hot drink. It is located at Katschhof – the square between city hall and Aachen cathedral – close to the cathedral. In order to keep it a small and cozy event, we have limited the number of tickets to 70. So be quick and get your ticket! Drinks, coffee, snacks and lunch are included in the ticket price. Everything at the Christmas Market and afterwards is at your own charge. If you are not a Scrooge at all but would like to support Christmage, please send us a message. We appreciate it! If you have any questions or suggestions regarding Christmage, we look forward to hearing from you!